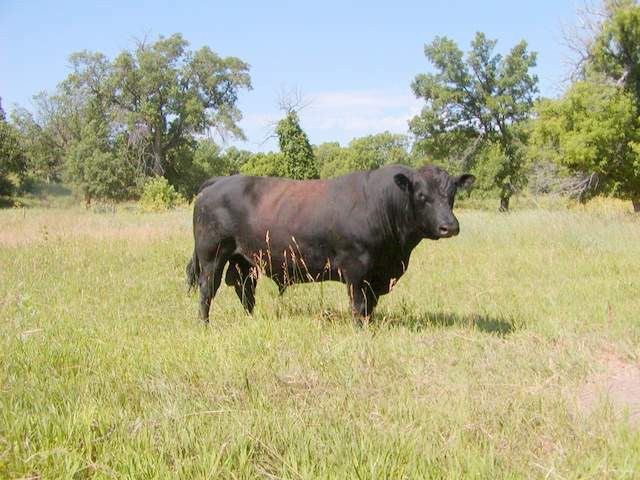 We will host our Forage Proven Production Sale Saturday December 4th, 2010. It will be held at 1:00 MST at the Dawes County Fair Grounds in Chadron, Nebraska. 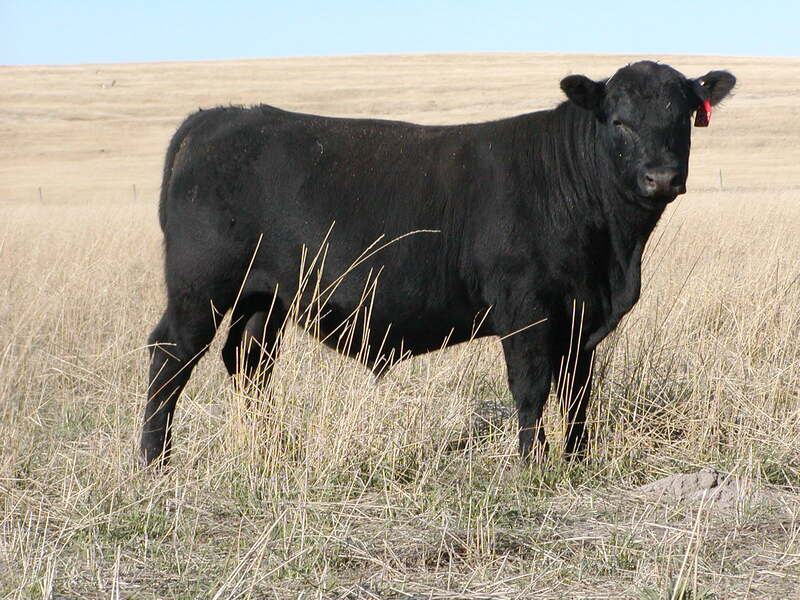 We are offering 50 long-yearling forage proven bulls, 1 bull calf and 2 heifer calves. 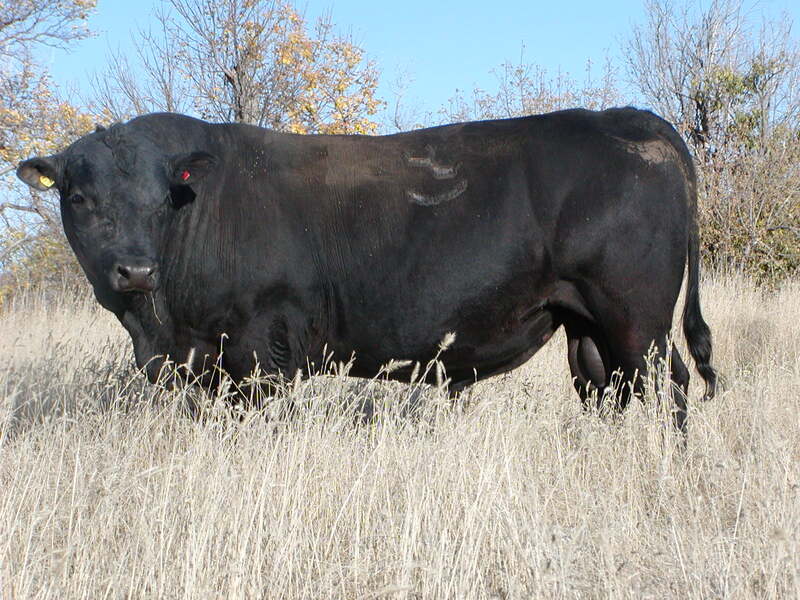 This bull is JAD LAD S6150. He will have several sons selling. The heifer pictured at the top is 6157’s last natural calf. She is excellent! Here is the link to her pedigree. If you would like a catalog please go to the contact page and sign up for one. We will have more information on the web page soon. I carried my camera this morning as I checked pastures. Things look good. Thursday August 27th will mark three weeks since we put the bulls in. They are tired but happy. 🙂 Took a couple shots of bred heifers. The Lilianne heifer picture is for the WYE enthusiasts among us. 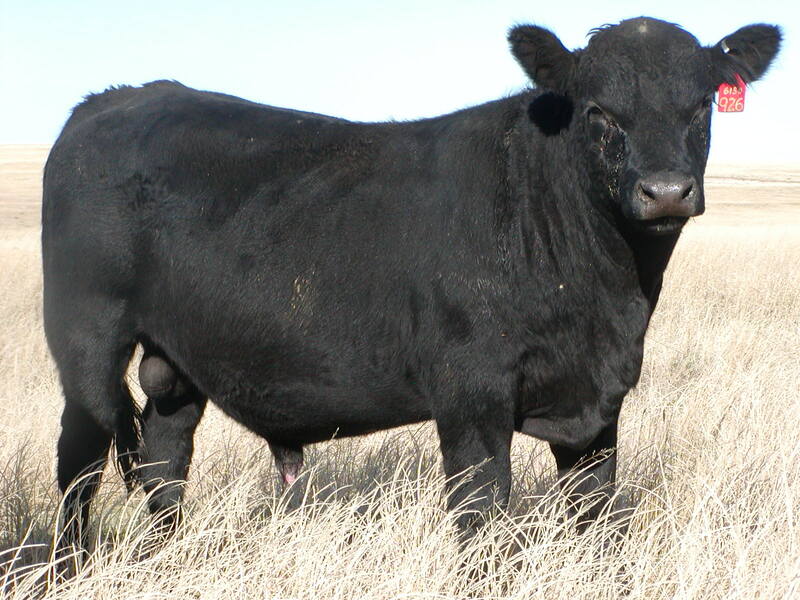 Notice anything peculiar about the LAD S6114 bull? Like the swelling underneath. Yes, it appears he has suffered a career ending injury. I really liked him too. Certainly one of the nicest looking Prudent Lad sons we have raised and a calving ease bull too. The good thing is I’m working with a renewable strain. It is NOT dependent on any one outstanding individual. The strain is predicated on reliable continuity. I didn’t cause it to be this way. The work was largely done by those who came before me. They used close breeding and selection to fix the characteristics to the point that, Iwill be able to use another young bull in the strain and expect with a high degree of confidence that he will transmit very similarly to the injured bull. 6114 was never collected, I didn’t have insurance on him and yet discovering his injury today was no big deal. Replacing him will be neither expensive nor difficult as the entire herd is being used to replicate the same pattern over and over again. 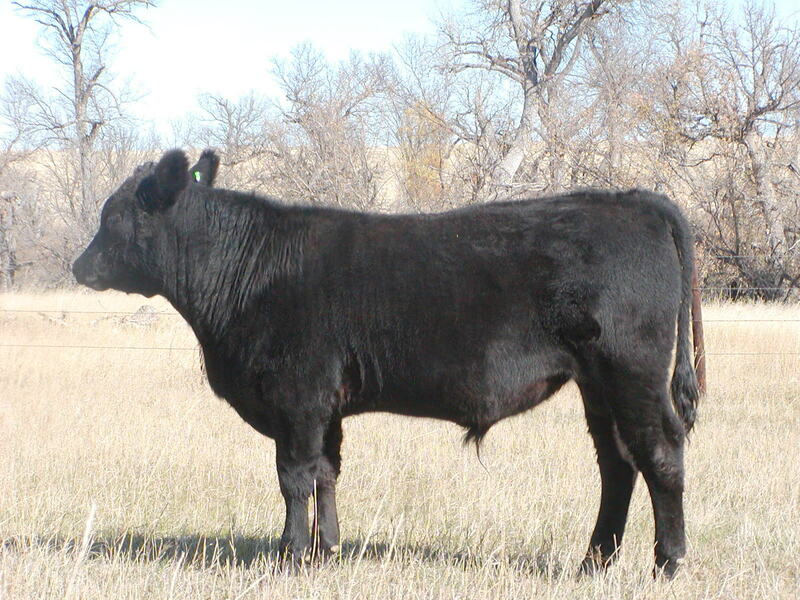 JAD LAD S6306 is the combination of two of our very best cows. His paternal granddam is Shoshone Prudence 6157 and his Dam is Shoshone Frances 6306. The two middle pictures were taken late in the Fall of 2008 and the first and last pictures were taken in late July of 2009. He is siring a lot of performance. 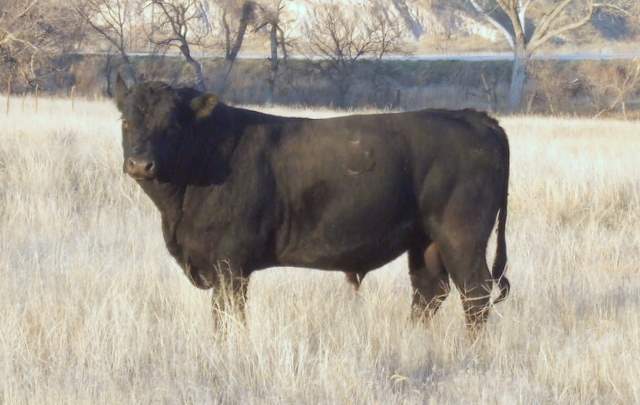 His sons will be some of the best growth bulls offered in our fall sale. 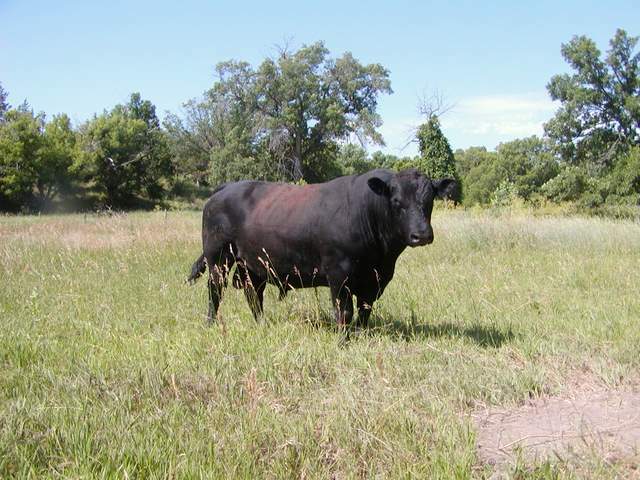 We are keeping one of his first sons, to use as a herd bull. His name is JAD FX-UR38. Notice that 6306 is the granddam on the top and bottom. 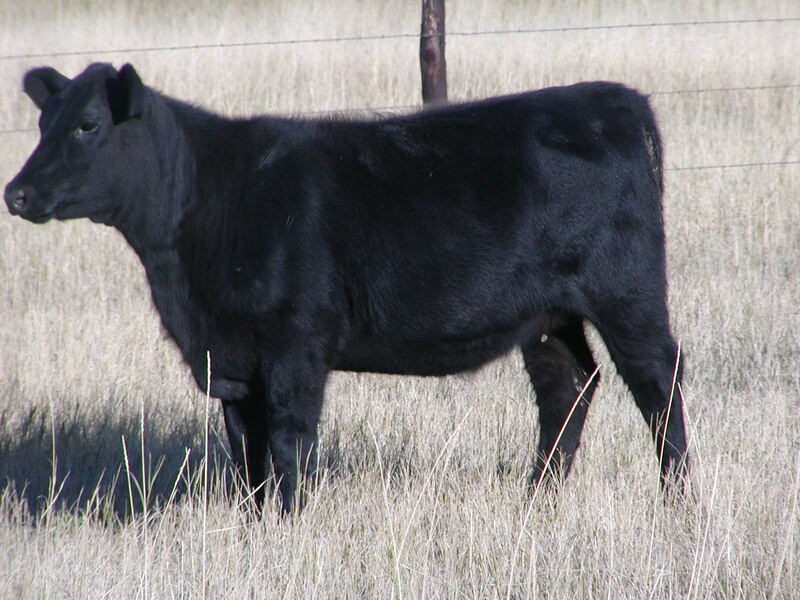 You can look at her picture and pedigree on our “COWS” page. I have limited first hand experience with the cows in the pedigree beyond 6157 and 6306 but as near as I can tell both bulls have nothing but outstandingly good females behind them. I think it’s interesting that neither one of these bulls offered much individuality as young bulls. My selection of them was based entirely on the strength of the cows behind them. 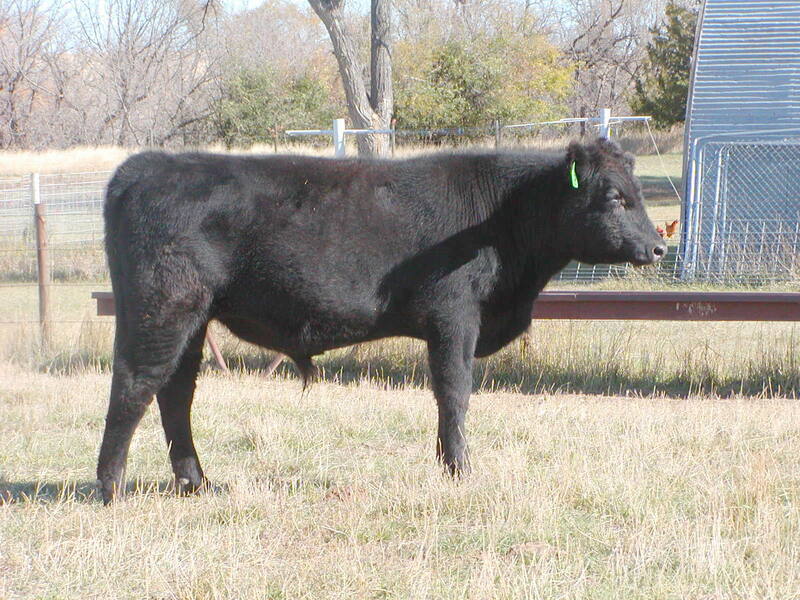 We have a full brother to Lad S6306 that we call JAD FX T6306. The two brothers will work side by side to breed our cow herd and increase the influence of Shoshone Frances 6306. 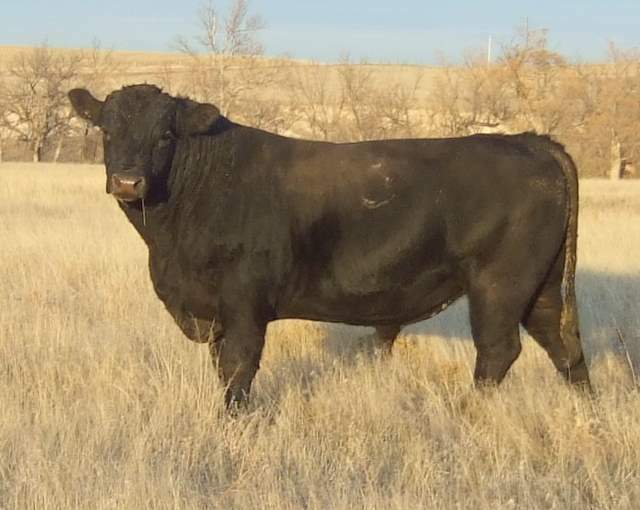 She also produced a bull by JAD JUANADA RUT RM84 that will be for sale this fall and she has a bull calf on her now whose parentage DNA results should be back any day. Now if she would just produce a few more daughters.